Live performances and tours play significant roles in Lady Donli’s blooming music career. She expressed how the chance to perform in front of fans around the world has helped her personal growth as an artist in a recent interview with NATIVE where she was quoted saying “These shows have made me break out of my bubble”. And though her performance conveys the emotions from the song, she just released a documentary video for her Toronto tour, providing context that her audience can benefit from. The “Lady Donli in Toronto Documentary” video shows behind the scenes cuts of her performances in the 6, bringing new depth and colour to her well-loved songs. It also features scenes where Lady Donli discusses the intricacies of her music and the emotions and thought the process that goes into creating her songs. But the documentary doesn’t sell itself as an exposé. Rather, its value comes in the form of sentiment—watching her setting up the stage and have nervous conversations before getting on stage. Nas just shared a short film titled “Nasir-The Film”, an accompanying video for his similarly titled ‘Nasir’ album. The 16-minute long clip is directed by Rohan Blair-Mangat, mirroring the socio-political sentiments expressed on the album. Set in his Queens neighbourhood in New York, the video speaks to police brutality and racial subjugation of blacks. All 7 tracks from the Kanye West executive produced album serve as the soundtrack, while Slick Rick and Demarius Mack make cameos. An obvious indicator of Afropop’s success in the UK is the amount of UK based artists that have made the genre their bread and butter. Afro B has grown into a household name in African communities off of the impact of his “Joanna” hit single. The British-Ivorian singer has released a new single, “Melanin” with a thematically apt music video to match. While he performs his laid-back, romance fueled lyrics over the airy beat Team Salute produces, the music video Visionaire Pictures directs, celebrates the melanin beauty the song is dedicated to. The video is set on a sunny field with dark skin women flaunting their glowing skins against the vibrant coloured backdrop of the flowers and the props. Though Ariana Grande is currently sitting pretty at the top of the Billboards chart, this year has been a rough one for the R&B singer. Fresh off the loss of her ex-boyfriend to drug overdose and breaking off her engagement with Pete Davidson, she released “Thank u, Next”, proving that she’s still the ponytailed patron saint of grace, light, and sass. She follows up the new single with the release of the music video for “Breathin” off her ‘Sweetner’ album, reassuring fans she can take anything the world throws at her. The Hannah Lux Davis-directed clip finds the pop superstar at a train station while the world passes her by at a dizzying pace while she sings, “Just Keep Breathing and Breathing and Breathing and Breathing/I Know I Gotta Keep, Keep on Breathing”. The video for “Breathin” is the fourth visual from her album following the release of “God is a woman”, “The Light is Coming” and “No Tears Left to Cry”. And already, she is gearing to release a new project titled ‘Thank u, Next’ featuring her single of the same name. Among the many privileges of being an indie artist, the chance to perform intimate sets for fans has to be the most fulfilling. And if you were wondering why, JazzZ’s recently released video for her “WhoBeJazzZ Unplugged” show satisfies that curiosity. The event which held in September at the Ayo Van Elmar Fashion Cafe location in VI also featured guest performances from Barelyanyhook, PayBac, UglyTwizzy and others who gave memorable performances to entertain the small audience. But as the official video from the event shows, it was JazzZ who owned the stage, delivering a warm performance that emphasizes the affectionate power of her music. The video shows JazzZ performing “Owo” featuring System, dancing so carefreely, it’s a wonder how her voice never strays offbeat. The animated movie scene in Nigeria has gotten a lot more interesting over the years and things are only looking to get better. Magic Carpet Studios have made the announcement that Cyprian Ekwensi’s classic novel, “The Passport of Mallam Ilia” will be adapted into an animated feature film after the animation film studio acquired full rights of the book from the HEBN PLC Publishers. And just like the book, the film is set in 19th century Kano, following a young warrior’s vengeful quest to find and kill his wife’s murderer. The teaser trailer shows the film’s lead, Mallam Ilia, fighting a spirit while a Hausa voice-over plays in the background and gives the film the intimacy of the first person narrative. 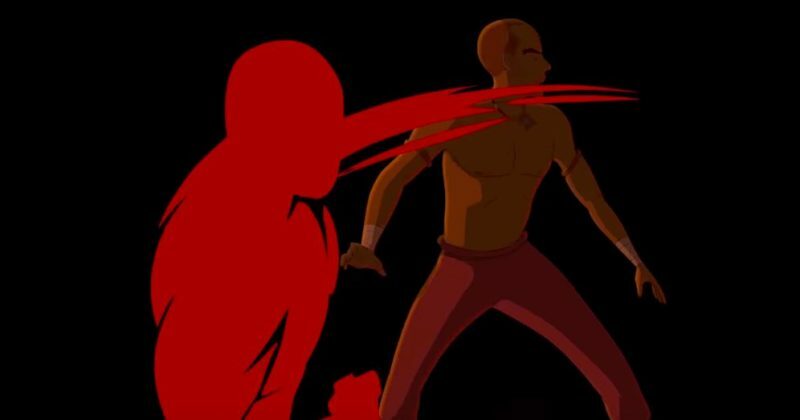 The trailer hints at a promising and authentic Nigerian animation we’d be looking forward to.